My experience with Brian Vorse was exemplary. Brian built my house and horse barn and I couldn’t be happier with the both the process and the result. Brian is a skilled professional and a gifted communicator. He kept me informed every step of the way and gave me plenty of time to make critical decisions in an orderly fashion. Most importantly, Brian always had the time to answer my questions thoroughly and respectfully. The crew was professional and fun to have around, and the subcontractors were organized and methodical. It was a fascinating process to watch. 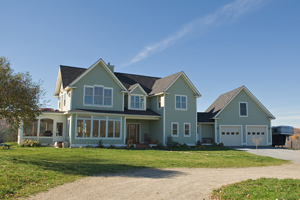 Brian’s creativity and open mindedness enabled me to build a dream home and barn within my timelines and budget. After the project was completed, I honestly missed my phone calls from Brian!